Our Asgard team continued their winning ways with multiple medals at National Championships across all age groups! Early successes at Cadet and Junior Championships! We ended our season with good performances at the Asian and World Championships, but also some unfortunate news. It has been a busy yet rewarding few weeks for our young fencers, who have competed in three tournaments in the past month! Asgard form half the Women's Sabre national team, and our young ones win medals in Hong Kong! 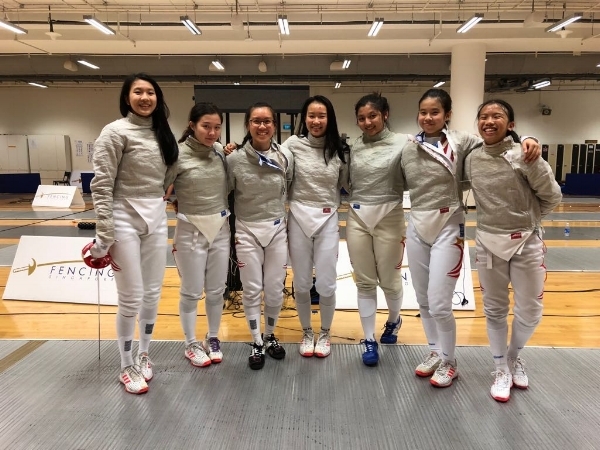 Our fencers ended the year in style with results at the European Cadet Circuits, Sofia U-14 Championships, and the Y Sparks International Cup. Some of them also took part in a fencing camp in Hong Kong. Our fencers competed in Europe on almost every weekend in October. Read about their exploits here! Conclusion of the local events! Our 7 medal haul in a weekend, recapped for you dear reader. The 2016 / 2017 season opens with the first Cadet, Junior and Senior competitions!